Welcome to my lifestyle blog! Here, you'll see photos and little anecdotes of my routines, travel, things i love (my family of course), and products I would like to talk about and promote. Thanks for visiting and if you have any comments and questions, please feel free to contact me! Open any fashion magazine, and you’ll find tons of animal prints. Everyone is all about animal prints today – but the truth is, we have always been crazy for spots and stripes! 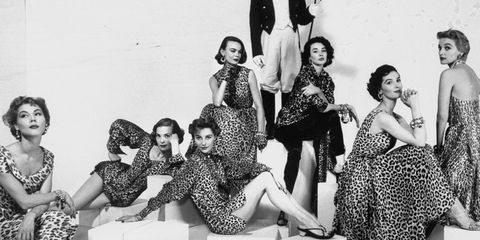 Since animal prints appeared in fashion, they have never left. However, this year we are seeing far more than usual making it the perfect time for ladies who have been hesitant before to give it a try. Now, ladies, here are some of the best reasons to embrace leopard, zebra, and snake prints. Wearing a pair of animal print heels is a perfect way to show your good fashion sense and sophisticated taste. But, it is also a way to let everyone in on a little secret – you know how to have fun. Once you add a quality animal print piece to your wardrobe, you can wear it for years to come. You can pass it on to your daughters. Why? Because worn the right way, animal prints are never out of style! 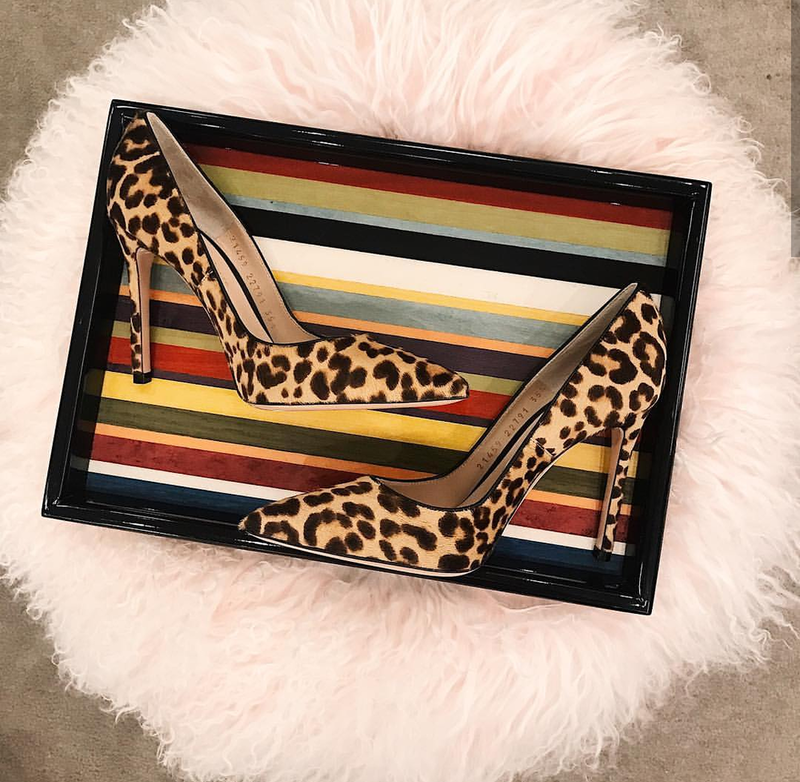 Beginning in the 1920s, animal prints have made women feel powerful, and that is not going away anytime soon. Another fantastic reason to add animal print to your wardrobe is that it is so versatile. These types of prints can be worn in the summer or winter. Not only can they be worn throughout the year, but they can also be worn in different ways. Fashion embraces animal print shoes, bags, coats, tights, shirts, dresses, skirts, and accessories. 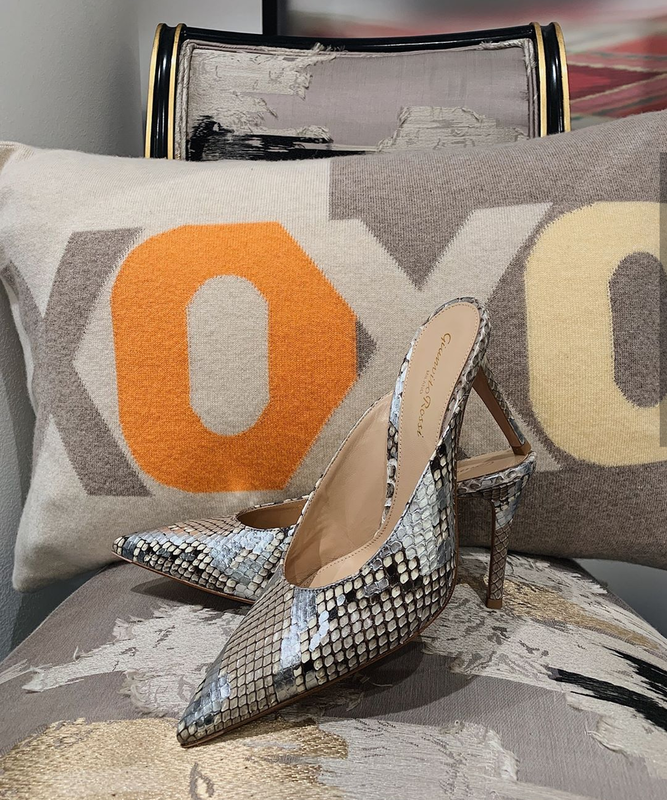 As Dr. Seuss famously said, “Why fit in when you were born to stand out?” This is why women go to extraordinary lengths to find just the right purse, pair of shoes, or necklace. We understand that choosing the one right fashion piece can make us stand out from the crowd. When it comes to animal prints, this is especially true. Everyone notices the women in the office with the animal print shoes or coat. Last but certainly not least, the main reason to embrace animal prints is that they are so fun! Nothing says “I am woman; hear me roar” like an animal print! They feel frivolous and silly, but they are as far from boring as you can possibly get. They can make any outfit more fun. And, I’m all about having fun with fashion. PS. No matter your age, you can always rock animal print. I plan to be one ferocious grandmother one day. What do you think? Okay, moms, time to get real. Where would we be without Netflix? Moms everywhere have come to rely on Netflix for both their kids and themselves. When used the right way, Netflix is a mom’s best friend. Seriously – moms really love Netflix – in a 2018 poll, Netflix outranked all other brands (including Band-Aid) in the mom category. If you have not yet jumped on the Netflix train or you are on board but have considered dropping Netflix, I’m here today to remind you why Netflix is worth every penny. Netflix has countless options when it comes to kid-friendly programming. In addition to great kids films, there is also a ton of television shows that kids love. For example, my girls are crazy for Spirit Riding Free and the fantastic Trolls animated show. Kids can watch their favorite shows and characters over and over again. Plus, there endless amounts of programming for adults to binge watch. Are you a fan of reality television? They have it. Are you a fan of stand-up comedy? They have it. Are you a sitcom-lover? They have plenty. Are you a fan of dramas? Take your pick. Since no mom wants their list to be a mix of grown-up stuff and kids shows, Netflix allows users to create multiple profiles. Everyone in my family has their own profile making it easy to curate personalized lists and find your most recently watched programs. Plus, the kids profiles make it safe for kids to navigate without parents worrying about them stumbling on to something inappropriate. You can also use Netflix’s Parental Controls. Moms know that there are sometimes when you need a way to control or quiet your child – and one of the most effective ways is by letting them watch Netflix on a mobile device. With the ability to download certain shows and films, it is easy to save your kid’s favorites on your device to play in your moment of need without using valuable data. For instance, Spirit Riding Free is one of the titles available to download. After a busy day at work and coming home to take care of my girls, there is something very rewarding about sitting on the couch at the end of the day to binge watch a few episodes of my favorite Netflix show. Whether I am using it as a way to relax at the end of the day or using it to help me kid’s make it through a long appointment, Netflix is a sanity saver. Most of all, Netflix’s app makes it easy to watch shows anytime and anywhere. While you are breastfeeding, while you are doing laundry, while you are riding the subway, moms have discovered the joy in watching Netflix while they get stuff done. What is your favorite thing about Netflix? What do you binge watch? What shows on Netflix do your kids love? Let me know in the comments. A clean house makes me happy. But, like most working moms, it is not always easy to stay on top of the cleaning, which is why spring cleaning is so necessary. When our homes are clutter or dirty, we don’t feel our best. It’s true! Reader’s Digest has a great article entitled Who Knew? 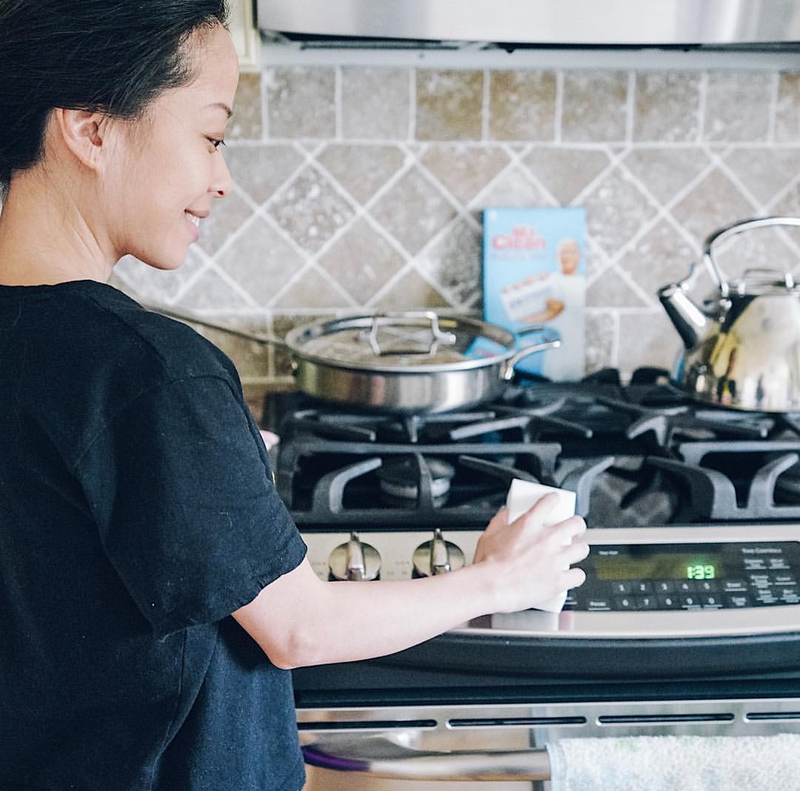 7 Unexpected Health Benefits of Spring Cleaning that explains how clutter leads to stress and dust leads to unhealthy breathing. If you are like me, you know spring cleaning is important, but it also seems overwhelming. I’m here today to share what I’ve learned that has made spring cleaning so much easier. After you read these tips, you’ll feel ready and prepared to take back your house this spring. First things first – you must have the right attitude. For example, I’m not someone who loves cleaning, but I do love a clean house. So, I have to do the work. By focusing on the end reward, I am more motivated to get started. Similarly, if spring cleaning feels overwhelming because you are thinking about ALL the things you have to clean, stop thinking about everything at once. Instead, focus on cleaning one area at a time. Prioritize what matters the most. For me, this means prioritizing the places that are used the most frequently and seen the most. Think about it. If you could clean one room in your house, which would it be? Okay. Now that you’ve named the room start there first. You know the saying, “Rome wasn’t built in a day”? This saying applies to spring cleaning. Too often, we think of spring cleaning as one day or one weekend in the spring to get everything done. That’s not always possible. And, for some of us, that feels like too much work. Instead, clean in short bursts of time. Clean one space or complete one cleaning task, stop and take a break. Then, do a little more. If it takes you a week, who cares? Next, you want to make sure you have the right tools to get the job done. I have found that by purchasing the right cleaning products, I save time and my sanity. Why work harder when you don’t have to? For example, I absolutely love the Swiffer Dry and Wet Sweeping Kits. This 2-in-1 sweeper is perfect for my hardwood floors and saves me so much time and energy. When it comes to cleaning furniture and walls, I use my vacuum cleaner. I also always stock up on safe cleaning products, soaps, disinfectants, and dusters before I begin my spring cleaning. 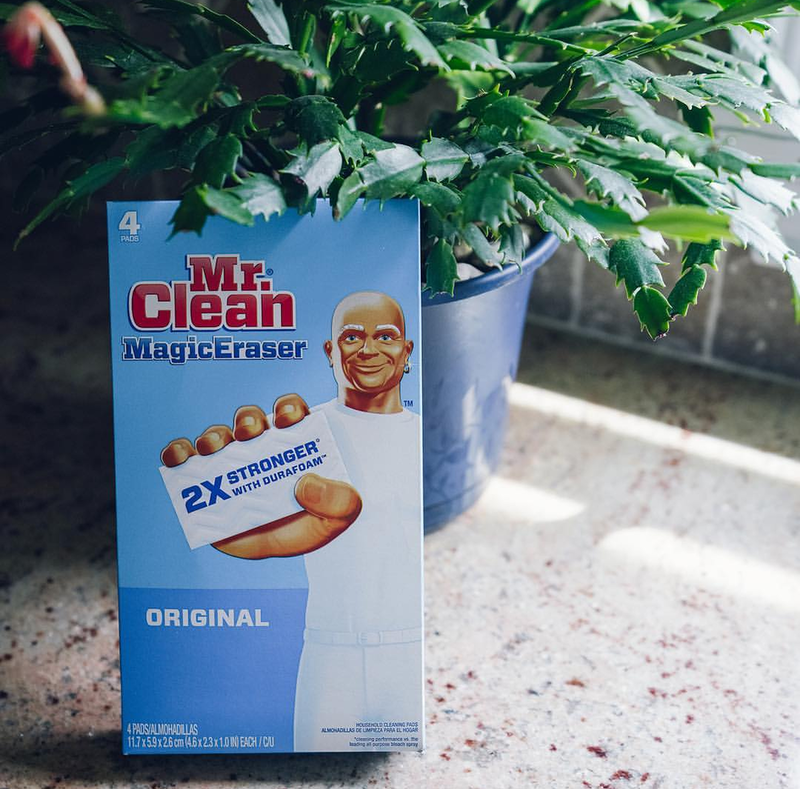 But, by far, the favorite spring cleaning tool is a Mr. Clean Magic Eraser. These things are amazing and can be used to clean practically everything. I have used them to clean my walls after my girls colored them and to clean my appliances. When it comes to purchasing the right tools, you can’t go wrong with Walmart. Walmart has the best prices for spring cleaning products and offers free 2-day shipping. You can order all you need and have it in time for your weekend spring cleaning extravaganza! Finally, you want to have the right spring cleaning plan. While I already said you don’t have to do it all in one day, you should have a plan to clean it all. This is the time of year when it makes the most sense to clean those spaces of your home that are often neglected (such as baseboards and window screens). I’ve found using Taste of Home’s Room-by-Room Spring Cleaning Checklist helps me deep clean every area of my home. Don’t Miss This Spring Cleaning Giveaway! Head to my Instagram page to find out more! It’s no secret that we love to travel, but what you may not realize is that we are deliberate about traveling the world with our girls. I believe wholeheartedly that traveling is important. My travels have taught me so much about the world and myself. I want my girls to have those same kinds of eye-opening experiences. Someone asked me why I think it is important for kids to travel the world rather than just taking vacations nearby. 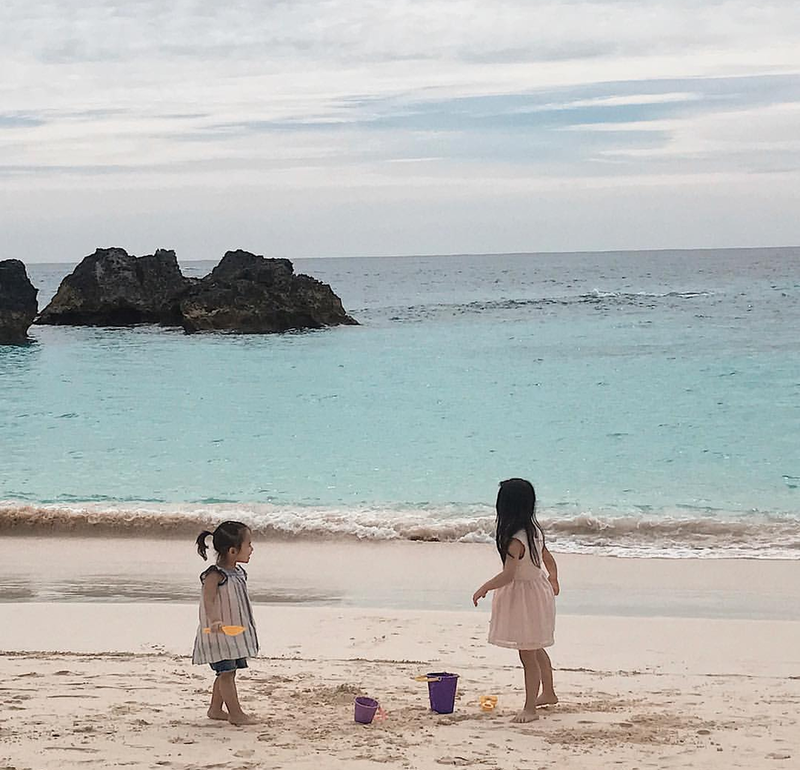 I hadn’t been asked my reasons before, but once I thought about it, I came to realize I have good reasons for choosing to expose my girls to places beyond the USA. First of all, traveling is fun! As a family, traveling is a great way to have fun and bond. Nothing says family bonding like having to patiently wait to board a long flight and successfully making it to your destination with everyone still loving each other. Ha! But, seriously, when we travel, we get to do fun things we don’t get to do at home. Travel teaches kids about languages, history, and geography. My girls are lucky enough to receive a great education at the hands of their teachers in their classrooms. However, I believe learning extends far beyond the classroom walls. If you want hands-on learning, traveling the world is a great way to do it. Without even meaning to, your kids will learn about new languages, history, and geography. Travel allows kids to experience other cultures. All children need to learn about cultures other than their own. 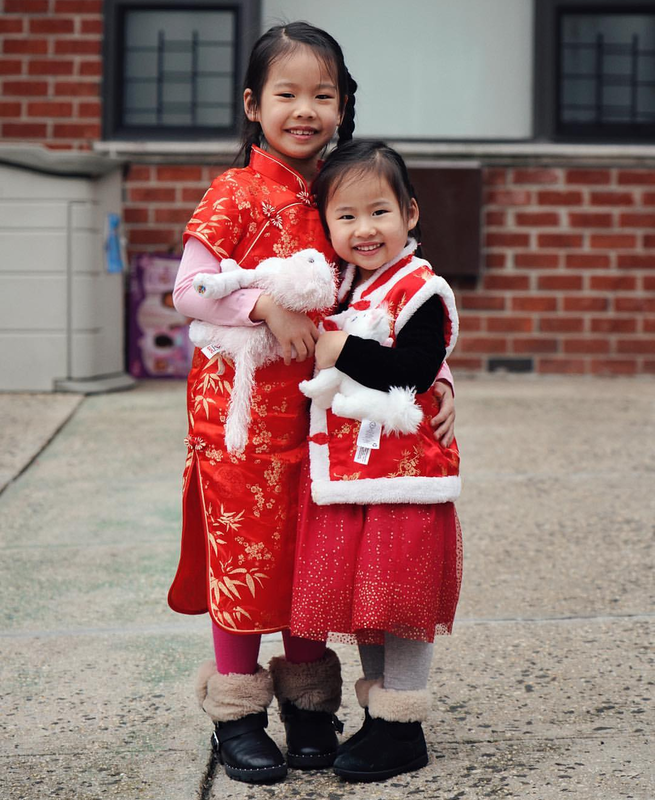 While we can attend cultural festivals in NYC, it is something entirely different to expose your children to another culture by being immersed in that culture. Travel helps kids put down the toys and gadgets. I am not anti-toys or anti-electronics – they are lifesavers for most days! But, there is something pretty magical about your kids having fun simply by experiencing a new world. When we visited other countries, my girls get to do activities that are so much more enjoyable than playing on a device. They are having real-world fun in real-time. Travel breeds compassion and understanding. When we travel, I try my hardest to teach my daughters to respect the people and the culture. Traveling is a great opportunity for kids to learn about differences, but it is more important for kids to learn the similarities they have with the kids they encounter in other places. By exposing them to a world that is bigger than our NYC home, my daughters are learning to think about others more. They learn that the world is a big place and that we need to respect one another. Watching my daughter’s eyes open wide in amazement as we tour new places fills me with joy. Each new place gets stored away in their little brains and inspires their curiosity. As they grow older, I hope their curiosity about other countries inspires them to travel the whole world. Can you believe the first week of April is already over? Where has the time gone? As the season changes, there are more and more fun things to do in NYC – especially outdoors. 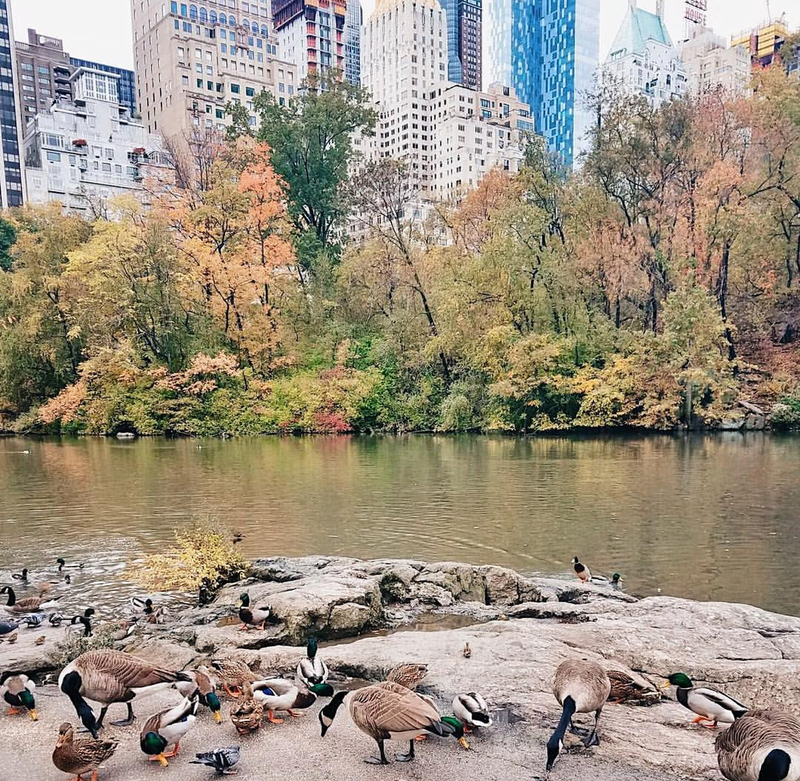 With an abundance of outdoor fun, I have identified ten of my favorite family-friendly things to do in NYC this April. On Easter Sunday (April 21st) beginning at 10 am, the annual Easter Parade takes place along Fifth Avenue (and St. Patrick’s Cathedral) with participants wearing their finest Easter attire and outrageously silly bonnets. The cherry blossoms bloom in April in NYC and families have multiple opportunities to see them and snap the perfect Insta-worthy photo. Sakura Matsuri is held April 27th -28th at Brooklyn Botanic Garden. You can also sign your family up for a Cherry Blossom Tour of Central Park in the month of April. With Earth Day taking place each April, it is the perfect time to teach your kids to respect the earth. One family-friendly event to help you is EarthFest taking place April 13th at the American Museum of Natural History. 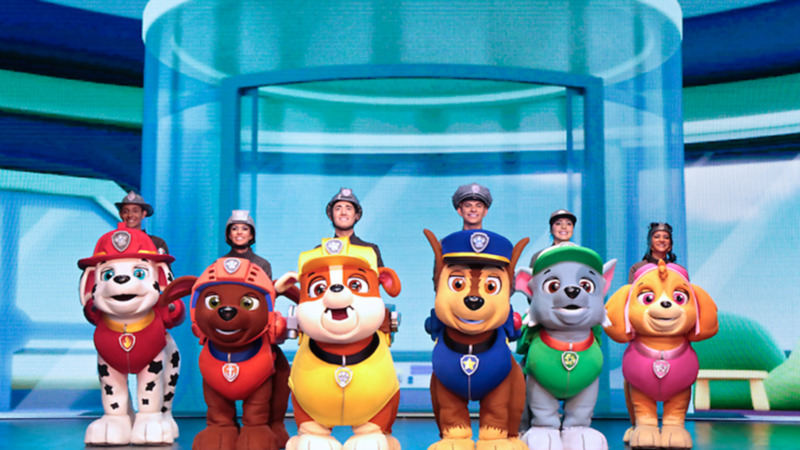 If your kids are fans of Paw Patrol, then make plans to see PAW Patrol Live! Race to the Rescue. This live-action show will take place April 13th and 14th at Hulu Theater at Madison Square Garden, Midtown West. Nothing screams “SPRING!” more than an outdoor children’s carnival. Take the whole family to the Apple Blossom Children’s Carnival at Queens County Farm the first two weekends of April. Dinosaur Safari heads to the Bronx Zoo beginning April 19th. Your family can see these giant animatronic roaring dinosaurs up close. After ice skating season ends, it is time for roller skating! Families will love the Pier 2 Roller Rink at Brooklyn Bridge Park. The roller skating season officially begins April 12th. The FAD Market is a pop-up market celebrating Fashion, Art, and Design – all things I love! The Brooklyn MADE Market is April 13th and 14th at City Point. In addition to all the handcrafted goods for sale, there are also food vendors on site. Foodies families must make plans to visit the NYC Food Truck Fest on April 13th. This is the largest food truck festival in NYC with gourmet food trucks and unique food vendors. Make sure you go with an empty belly! Last but certainly not least is Free Cone Day at Ben and Jerry’s. My family loves ice cream, so we are all about visiting Ben and Jerry’s on April 9th (from 12 pm – 8 pm) to enjoy a free scoop. I hope you and your family have a blast enjoying all the spring fun. If you know of an event my family would love, let me know in the comments! This content is sponsored by Crest. All thoughts and opinions are my own. As a mom, I am always looking for tools and products to make my job as a mom easier. My primary goal is to keep my girls healthy and safe, so that means I shop for products that will help me keep them this way. Staying healthy means more than eating the right foods and taking the right vitamins; it also means teaching my girls the importance of oral health. Did you know that cavities are one of the most common chronic diseases of childhood in the United States according to the Center for Disease Control and Prevention? YIKES! Since brushing your teeth can prevent cavities, I take it very seriously in our home. I’m sure you feel the same way. Unfortunately, getting my girls to brush their teeth hasn’t always been easy, but I have found the solution! Crest Kids’ Toothpaste has released new flavors that my girls got to try, and I am thrilled to tell you the experiment was a great success! I have heard several other parents complain about the daily tooth brushing battles they have in their home. Let’s be honest. Lots of kids do not like brushing their teeth. But, since tooth brushing is so important, parents battle their kids to get their teeth cleaned daily. 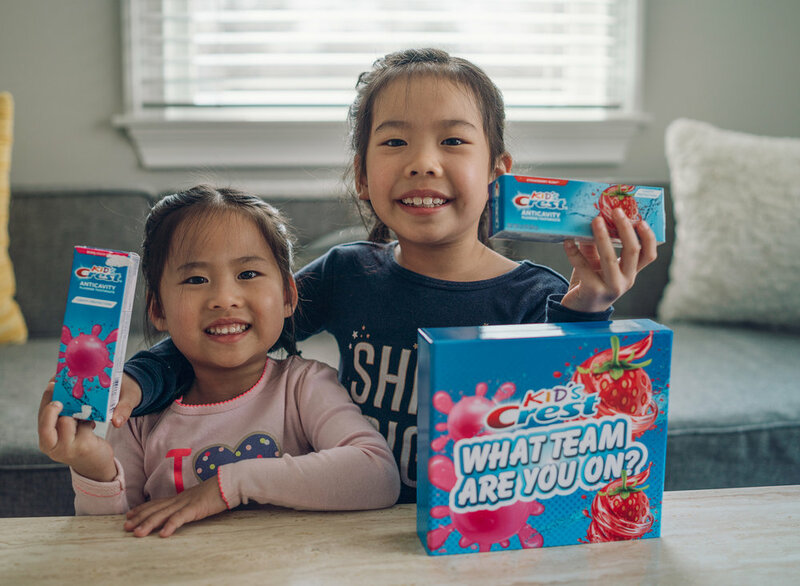 Thank goodness Crest Kids has discovered a magically way to end the tooth brushing battle – invent kid-friendly flavors that make the experience fun and enjoyable for kids. When my girls tried Crest Kids’ new flavors, they rushed to the bathroom at tooth brushing time! Who Knew Getting Your Kids to Brush Their Teeth Would Be So Much Fun? Forget a battle getting kids to brush their teeth – my girls were fighting TO brush their teeth! They loved sample both new flavors to see if they were #TeamStrawberry or #TeamBubbleGum. Since it was such a tough decision, the girls insisted on trying the different flavors more than once making the experiment last throughout the week. In the end, my girls were both in agreement - #TeamStrawberry! According to my girls, “It is delicious and doesn’t taste yucky!” We’ve tried other toothpaste brands for kids, and my girls are always disappointed that the flavor does not actually taste as it should. So, they were very happy to report that Crest Kids’ Strawberry-flavored toothpaste really does taste like strawberries. Which flavor do your children like best? Are they #TeamStrawberry like my girls or are they #TeamBubbleGum? Okay okay. There is something more important than the flavor of toothpaste. As we talked about earlier, brushing your teeth is a way to prevent cavities. Combine the practice of brushing teeth with Crest Kids’ toothpaste, which offers the best in cavity protection, and you have a winning combination. As a mom, I can rest assured knowing my girls are receiving the best cavity protection from a toothpaste they love. Thinking about making the switch to Crest Kids’ Toothpaste? Good thinking, mom. You find Crest Kid’s toothpaste at a Walmart near you! Did you know that Earth Day is celebrated each April? Earth Day is the perfect opportunity to teach your kids the importance of respecting the environment. Not only are there tons of online Earth Day resources from respectable sources like PBS Kids, but there are also several community events taking place around NYC on Earth Day (April 22, 2019). We all know some moms who are super earthy but teaching our kids to respect the earth doesn’t mean we all have to dress/act the same way. I can embrace my love for fashion as well as my love for the great outdoors. So, with that in mind, I am sharing some ways all moms – from the crunchy moms to the fashionista moms – can teach their children the importance of respecting the earth. The easiest and most effective way to teach your kids to love the earth is to spend time outdoors. Kids love playing outside! Their curiosity comes to life when they do something as simple as a hike in the woods. By giving them the chance to explore nature, they will come to love and respect it. A fun way to celebrate the Earth is to take your kids to EarthFest on April 13, 2019, hosted by the American Museum of Natural History. This all-day event is a celebration of our beautiful earth and will include concerts, yoga, hands-on activities and more. 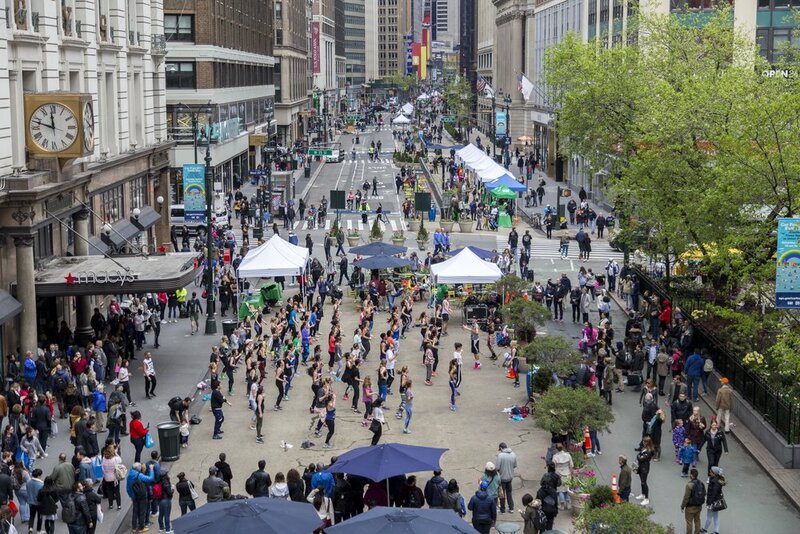 Earth Day New York 2019 will take place on April 23rd at Union Square. This annual event has several vendors, activities, and performances geared at teaching the public how to take care of the earth. Many New Yorkers don’t have a ton of space to grow a big garden. However, teaching kids the basics of gardening can go a long way when it comes to respecting Mother Nature. 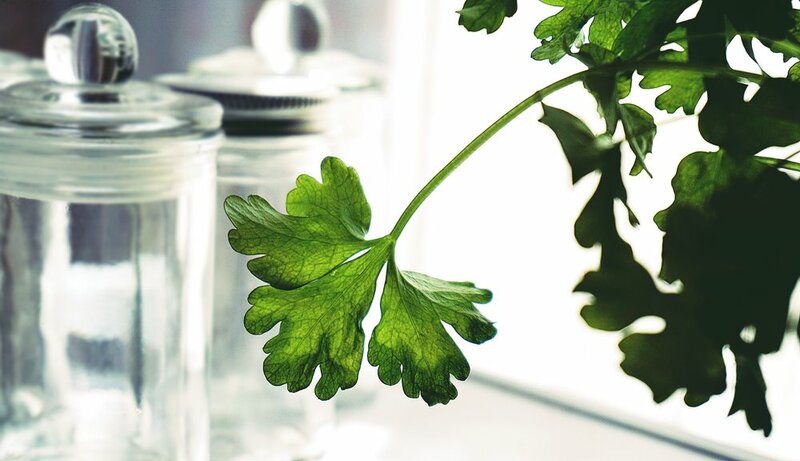 For example, if you don’t have outdoor space, plant an herb garden by a kitchen window. If you do have some outdoor space, plant a tree for each child and watch it grow as your child grows. Earth Day is a great day to teach your kids to both respect the Earth and the importance of volunteering. Look for opportunities to volunteer as a family to do park clean-ups. These types of volunteer activities work well for families because kids can be assigned simple tasks. NYC Parks has some Earth Day events that will make this possible. I don’t expect you to change your lifestyle radically – I haven’t changed mine! But, if we all do something small, we can do something big for the environment. When it comes to making environmentally-friendly choices, consider the 3 R’s: reduce, reuse, recycle. Reduce your waste. For example, Amazon now allows Amazon Prime members to choose only to receive shipments one day a week. 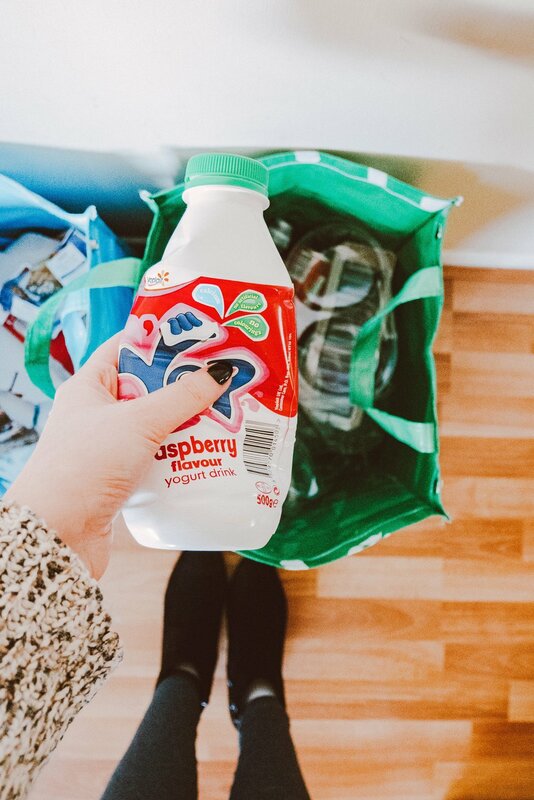 Reuse items when possible such as using reusable grocery bags. And, finally, recycle. Teach your children to recycle items rather than throwing everything into the garbage bin. I love a good dessert, and I am all about indulging now and then. But, I recently came across some new information about desserts that has radically changed things for me as a woman and a mom. I bet you are going to feel the same way. Have you ever found yourself forcing your way through a meal just because you are anxious to get to the dessert? Have you ever told your kid they had to eat all that is on their plate before they get dessert? 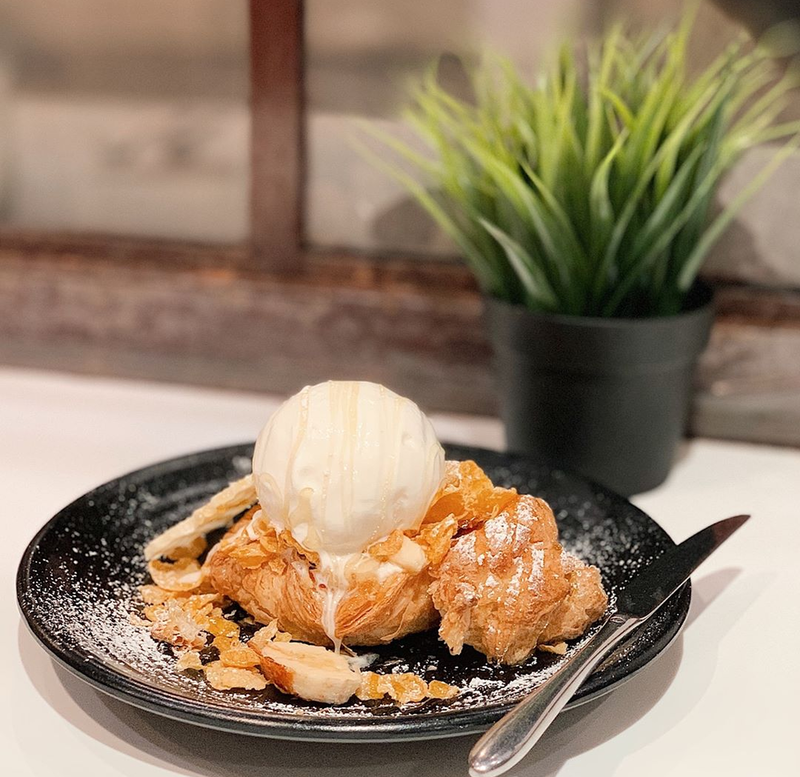 Have you ever treated dessert like a prize? Guess what? When you view dessert this way, you run the risk over actually overeating (or making your kids overeat). When you stop forcing yourself to say “no” to sweets, you will be surprised to find you don’t binge eat the way you did before. It’s true! Did you know that it is common to start your meal with a pastry or tart in European countries? Since Europeans are not quite as obese as Americans, this is an interesting tidbit. They treat desserts differently than we do. What would happen if you stopped treated dessert like a reward and treated it more like a normal part of a balanced diet? When we treat desserts like an indulgence, it makes it easier to overindulge. Think about it. We always want more of the things we aren’t supposed to have. If we took the danger out of desserts, maybe we wouldn’t allow them to put us in the danger zone. The American Psychological Association has studied it, and even they say eat dessert first! 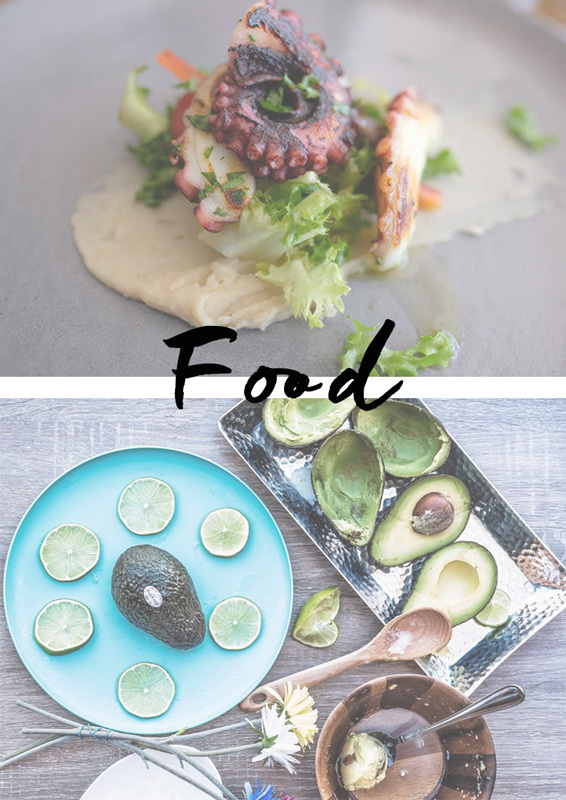 In their report aptly titled If I Indulge First, I Will Eat Less Overall: The Unexpected Interaction Effect of Indulgence and Presentation Order on Consumption, they found that individuals who started their meal with their highest-calorie dish first tend to eat less calories overall. 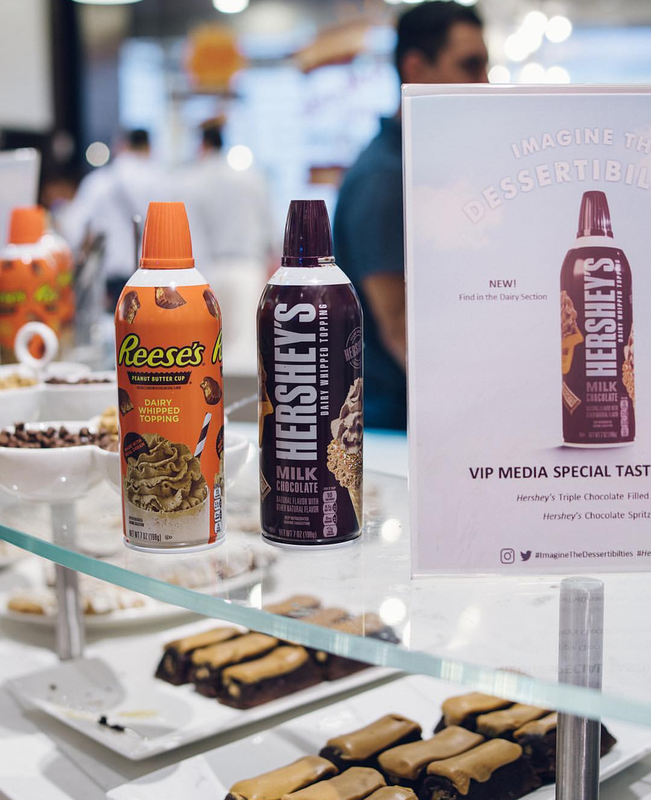 From the report: “The results of four experiments consistently showed that when the first item in a sequence is indulgent, individuals subsequently choose healthier foods and consume fewer calories.” It makes sense to me. If I choose to begin with a dessert, I will likely not stuff myself with other high-calorie foods after. Like all things in life, moderation is key. While Europeans and scientists may agree that dessert comes first, I don’t think it means dessert comes first at every meal. Or that every dessert should be super indulgent. Some desserts are better than others. Ultimately, the key is to let go of dessert guilt. When you eat what you want when you want it, you are less likely to overindulge. 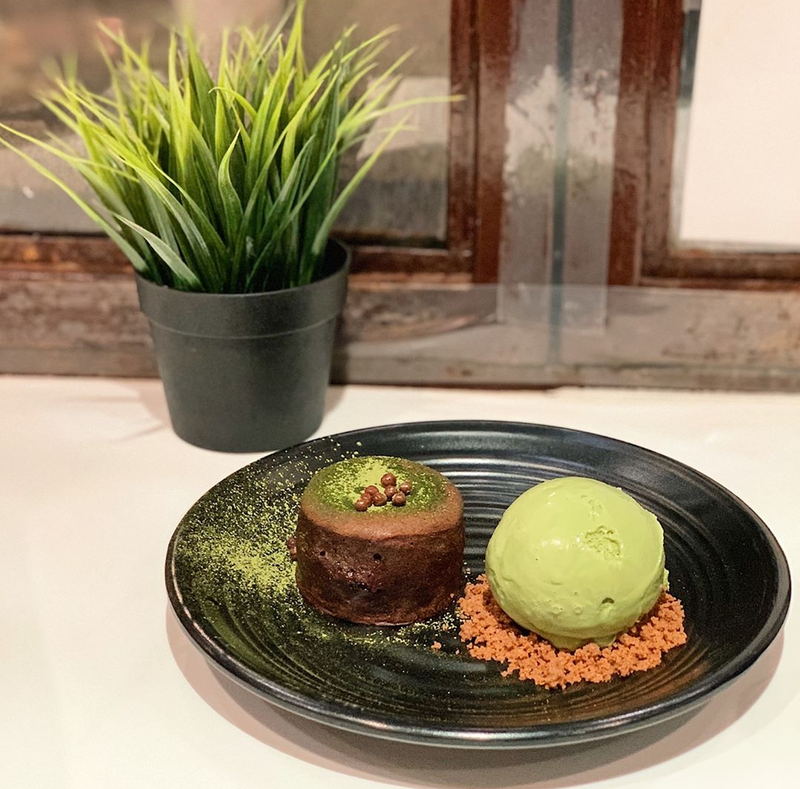 By taking away the prize of dessert and treating it like a regular part of a balanced diet, we are less likely to feel like we “need” a dessert to satisfy us. What do you think? Are desserts worth it? Did you know it is officially Spring? It sure is hard to tell when it is still in the 40s here in NYC! I am so envious of the people down South posting Spring pictures already. But, I know that soon it will feel like Spring. To help me get over my jealousy, I am spending time thinking about all the fun things I can do once the warmer weather moves our way. I love taking my girls to the playgrounds around NYC. We have so many great ones to choose from, and it is a wonderful thing to do as a family. We all get out of the house, get some exercise, and have fun. This spring I want to park hop. All this means is I want to explore new parks and playgrounds instead of frequenting the same ones every time. You know spring has officially arrived when the Cherry Blossoms bloom! The best place to view them is at Sakura Matsuri, the annual cherry blossom festival held at Brooklyn Botanic Garden on April 27th and 28th. It is such a fun, cultural event for families. We love going to the zoo, but we’ve learned that some seasons are better than others to visit. For example, if you go to the zoo on a really hot summer day, you won’t see much activity from the animals (probably because they feel just as miserable as you do in the heat). But, if you visit on a nice spring day, you will get to see the animals being more active. Yes, Coney Island is a tourist trap. But, it is still great fun for NY families! Spending a day at Luna Park and exploring the boardwalk will leave your kids happy and tired. The rides tend to open up on weekends around Easter and then daily after Memorial Day. I love to eat, but I really really love to eat outdoors. Once the weather warms up and the skies are clear, I love to find restaurants with outdoor seating where I can eat and people watch at the same time. It is also the perfect time of year to plan a picnic. I love hiking and it a picnic afterward makes the hike that much more exciting. Anyone can create their own scavenger hunt, but did you know there are tons of official scavenger hunts for Central Park? Whether you create your own or purchase a ticket for a group scavenger hunt, you will have a blast searching Central Park for clues! What are you most looking forward to doing this Spring in NYC? Have you ever lost sleep because of something seemingly small that you did or did not do? Every woman I know has second-guessed herself at some time because she is afraid she has hurt someone’s feelings or let someone down. When you are a working mom, you feel guilty for not doing enough with your kids at home. When you are a stay at home mom, you feel guilty for not doing enough to provide financially. If you feel guilty more often than you would like, you are not alone. 96% of women feel ashamed at least once a day. That’s crazy! It’s no wonder this generation of women feels stressed out all the time. We are carrying around tons of guilt baggage for things we shouldn’t even feel guilty about doing or saying. After seeing how guilt does nothing but inhibit me at home, in relationships and the workplace, I am done. I want to get rid of feeling guilty over things that I shouldn’t. I’m sick of saying “I’m sorry” all the time for things I don’t even actually need to apologize for. I caught myself recently feeling guilty and apologizing to someone recently, and after gaining some perspective realized I had not done anything wrong. They should have been the ones apologizing to me! Why do we do that? Now that I am more aware of my personal issue, I have done my homework so I can tackle it when it strikes at unnecessary moments. Look for Reasons - First, I am going to look for the reasons. IS there any actual reason for me to feel guilty? If there is, then I need to do what needs to be done to make it right. If not, then I need to accept that this is not my burden. Identify the Feelings Behind the Guilt – Next, I will question where the feelings of guilt are coming from. Often, we feel guilty because we are really feeling overwhelmed or angry. What are my true feelings about the situation? Shake It Off – If it was not my fault or was just something minor, I will choose to SHAKE IT OFF. Carrying around guilt baggage will only make life harder. If you can quickly move on, you will be much better for it. Be Clear with Your Expectations and Limits – Next, I plan to be upfront about my expectations and limitations. This way people cannot expect me to do more and I will not be made to feel guilty because I have been clear about what I can and cannot do. Accept Imperfection – Finally, I will stop being so hard on myself. There is no perfect woman – myself included. Rather than placing unrealistic expectations on myself, I am going to strive to do the best I can each day and be proud of what I achieved in my 24 hours instead of focusing on what I didn’t do. Who else is tired of feeling guilty all the time? What is your game plan for tackling guilt? I'm Rachel, a lifestyle blogger and mom of two crazy daughters, living in New York City. 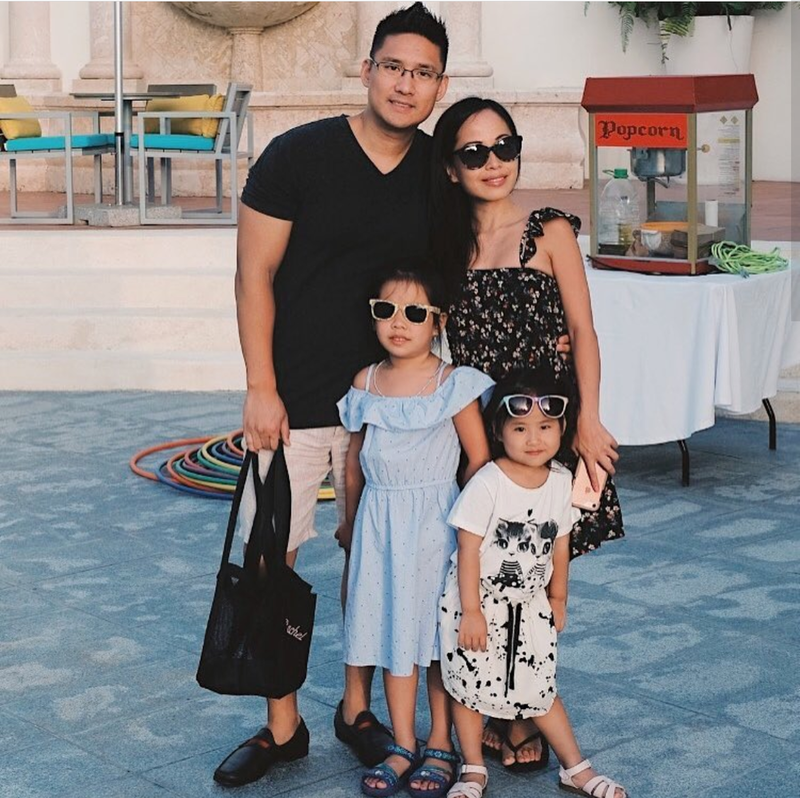 Check out my family, travel, food and lifestyle experiences on the blog, and please get in touch if you have any questions! Seen something you like on one of my posts? Browse my latest obsessions to shop all items.